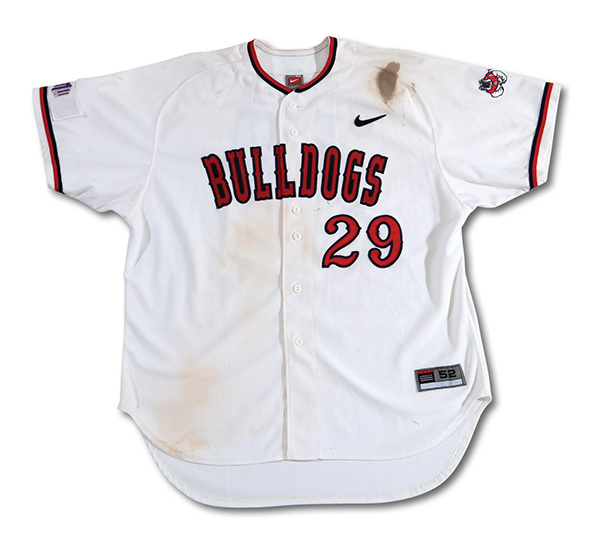 A jersey Aaron Judge wore in a 2013 game while playing at Fresno State is about to hit the auction block. Offered by SCP Auctions, this is the first time a game-used college jersey worn by the Yankees rookie has been put up for public sale. 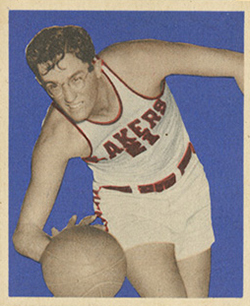 The jersey is a home white Nike knit. 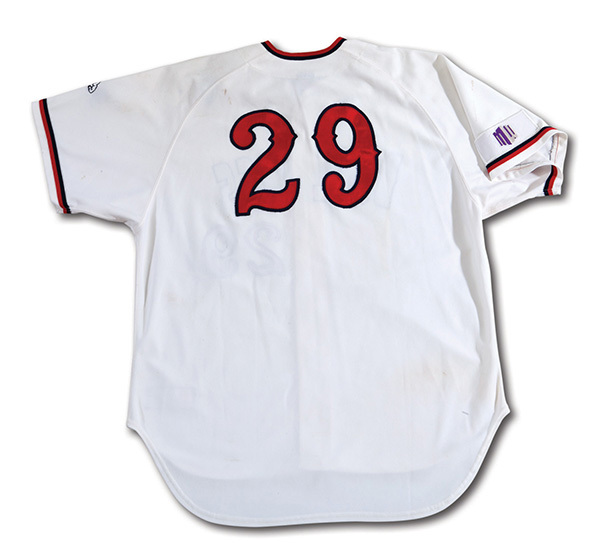 Rather than the 99 that baseball fans have become familiar with for Judge from his time in New York, the Fresno State jersey has the number 29 on the front and back. Among the patches are the Bulldogs logo on the left sleeve, the Mountain West Conference on the other and a Nike swoosh on the front crest. The game use is easy to see with plenty of dirt visible on the front. Reflecting Judge’s massive stature, it’s a size 52. “Aaron Judge’s collectibility increased tenfold when he recently broke Mark McGwire’s longstanding MLB record of 49 home runs hit by a rookie in a single season. 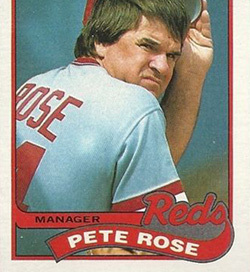 When he eclipsed Babe Ruth’s 96-year-old Yankee Stadium mark by hitting 33 of those home runs at home, the sky’s the limit. Judge is on fire,” said Terry Melia, SCP Auctions spokesman. A couple of other important game-used Aaron Judge jerseys have sold in recent months, although these were from his time with the Yankees. On July 30, Steiner Auctions sold the jersey from Judge’s first game, which also saw him hit his first MLB home run. The price? $160,644.05. Goldin Auctions also sold a pair of jerseys worn in April, 2017 for $15,925 (Opening Day, April 2) and $61,200 (Yankees home opener, April 10 plus first home run of season). Judge finished the regular season with 52 home runs, topping Mark McGwire’s rookie record from 1987. The Yankees rookie also helped New York clinch a Wild Card berth. Bidding for the game-used Aaron Judge college jersey opens on Wednesday, October 18 and closes Saturday, November 4. Potential bidders can register through the SCP Auctions website.